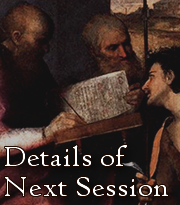 For those who have missed out on the Latin Appreciation Workshop, we’ll be having a new round of Latin sessions again! This will be Latin for beginners. This time, it’ll be held on a Sunday. I cannot confirm the date yet as I have to check with the parish secretary. So please check this website again next Monday. 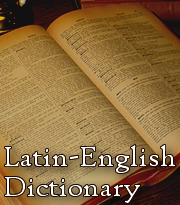 Details of the new round of Latin Appreciation will be up by then. « Euge! Akan Datang… Level II Latin!! !